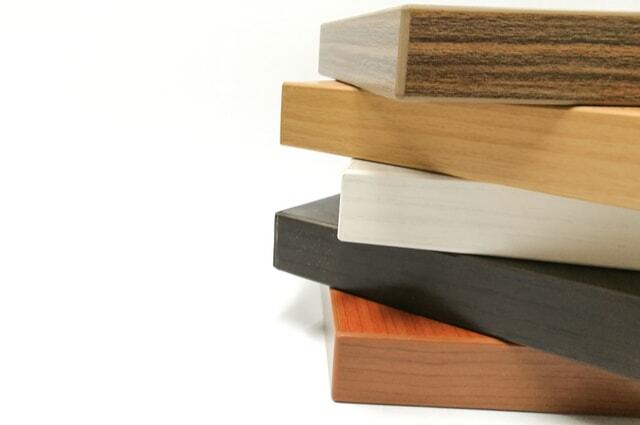 Sheet board materials are solid wood substitutes in building. Sheet board materials are preferred first and foremost due to their lower cost compared to solid wood materials. Secondly, sheet board materials are stable in varying weather conditions. Solid wood expands and contracts seasonally, which is bad news for more many builders. However, sheet board seldom moves making it a good material for panels and cabinet sides. If you are looking to build using sheet board materials, however, it is vital to know some of the major ones and their features. Plywood constitutes of layers laminated together to form a strong wood like material. It is lighter than many other sheet board materials, which makes it a preferred choice for mobile goods such as tables. Also, it is stronger than most sheet board materials; its strength makes it a preferred choice for bookcases and cabinets. However, there are some downsides to plywood, for example, it is more expensive than its counterparts which makes the building costs to rise. Also, it is prone to twisting and cupping and is sometimes undersized in thickness. The medium density fibreboard is made of fine particulates glued together to form sheet board. This fibreboard is mostly preferred in areas, which require being painted after the construction since it paints perfectly. Also, it is cheaper compared to its counterparts and runs true to its specified width or thickness. In addition, MDF stays flat for longer compared to other sheetboard materials. In essence, it is much more stable and is less prone to chipping. However, its main disadvantage is its weakness compared to other sheetboard materials. Also, it is extremely heavy which hinders transportation in some instances. Further, it does not hold fasteners well and takes in a lot of moisture if stored in a dump location. Veneered boards combine the advantages and disadvantages of the raw medium density fibreboard; however, it is veneered on the sides. Its lower cost is its major advantage as it cost way less than its raw version. At Theo’s Timber, we are the premier essential timber supplier in the greater Manchester area and beyond. We focus on supplying quality timber to businesses and industries for large-scale use. Remember, you can buy directly from our website which is much more convenient. We would like to have you as our next happy client. Contact us today or visit our website and order with ease.